As a universal rule, the study startup phase of a sponsored trial program is one of the weakest links. It is often fraught with delays and ultimately impedes patient enrollment. Not only does it take months to negotiate the required agreements or complete the necessary regulatory documents, but there is wide variation of cycle times for study startup between sites, which can delay the completion of a clinical trial. Over the last four years, the U.S. Medical Operations group of Novartis Oncology — in collaboration with internal clinical partners — has been transforming the study startup process for Novartis-sponsored studies. Building on the Signature initiative (a protocol-to-patient model that was launched in 2013), the Next Generation program was chartered to develop an agile approach for rapid study startup and show it is possible to dramatically shorten the time required to start up a site from months to days. This article outlines how Novartis’ study startup model has evolved over the last four years, broadening the scope beyond Signature’s mutation-based basket protocols and expanding its use to Phase 3 studies and beyond. Until 2013, Novartis’ process followed the industry norm: finalize the protocol, identify target sites, negotiate a clinical trial agreement, establish an institutional review board (IRB), and perform a pre-study visit. The startup process often took months and was seen by many as a bottleneck. An analysis of contracting cycle time by the Medical Operations group showed it took on average 100 days from final protocol to a fully executed contract. In 2013, Dr. August Salvado, senior VP and head of early development, strategy, and innovation at Novartis U.S. Oncology, charged a small group of subject matter experts with dramatically reducing study startup time to get innovative medicines to patients faster. Salvado noted: “We had detailed maps of our existing processes, so the question was how could we change these processes to accommodate a dramatically shortened timeline.” With the Signature program as a foundation, the Next Generation effort has delivered a dramatic reduction of cycle times, from an industry average of 41 weeks1 to an average 4.9 weeks2 (and less than 15 business days for Next Generation rapid startup sites). The Next Generation has proven to be an adaptable program that can be applied beyond the Signature Phase 2 basket protocols to Phase 3 trials and beyond. Over the last four years, the Next Generation team has fundamentally changed how Novartis U.S. Oncology approaches study startup. Through a series of experiments, Novartis tested a number of process innovations. Not all of these experiments were successful — for example, outsourcing the entire startup process to a CRO did not deliver substantial improvements in cycle time and turned out to be a resource drain. Having data on how much time each step in the process took was critical, not only to understand where the opportunities were but also to identify best practices, allocate workload, and drive continuous improvement. And while each of these innovations improves the overall process, the power of the model comes from the combination of these tactics (just-in-time patient enrollment plus rapid study startup) into an integrated approach that focuses on the patient. 1. Utilize sites that have identified a tangible patient. A flaw in the traditional approach (defining sites up front, activating the site, and then waiting for patients to be identified) is that many of these sites end up not enrolling a single patient, which results in a lot of wasted effort. Instead, Novartis works with sites that have experience performing clinical research, agree to the rapid startup timeline and requirements (quick contract/budget turnaround, central IRB), and — most importantly — have identified a potentially eligible patient. The site is not required to “open” the trial until they know they have a patient. 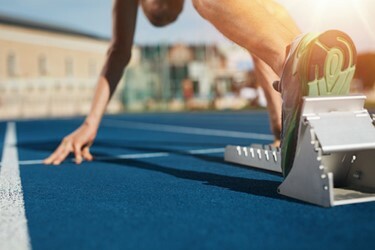 Then, the rapid startup process is used to activate them quickly with a median time of three weeks (15 business days). The impact on enrollment is significant. Traditionally, most trials lock down site participation by limiting the trial to a finite number of pre-identified sites. They also limit the number of sites in any geographic area. This may work well for indications with large numbers of patients, but it is suboptimal for cancer and other rare diseases. Additionally, the expectation that physicians in a given city will “refer” patients to the one participating site in that area is overestimated. Patients who engage in frequent quality interactions with, and who receive an offer to enroll in a clinical trial from, their healthcare providers are significantly more willing to participate.3 Isn’t it better to allow the patients to stay with their treating physician? The cost savings can also be significant. Typically, 30 percent of sites never enroll a patient. Trial costs can be lowered substantially by eliminating the cost of managing non-enrolling sites. Those costs can run from hundreds of thousands of dollars to millions on large-scale studies. The Next Generation approach also eliminates competitive trial issues by targeting sites that do not have a conflict. Using this approach does take extra commitment from the sponsor; you must be ready to be immediately responsive. Having a well-trained call center is crucial to verify a patient’s eligibility right away when investigators or site staff call with a potential patient. The Novartis team engages the site within 24 hours of patient eligibility confirmation, which triggers the rapid startup process. Instead of requiring the sites to interact with multiple Novartis internal groups for different parts of the startup process, the Rapid Startup model uses a single point of contact for the site. Offering a “white glove” concierge service minimizes the workload for the site and gives them a dedicated, cross-trained specialist to help them populate and submit documents. These specialists are subject matter experts in confidentiality disclosure agreements (CDAs), contracts, budgets, regulatory documents, informed consent forms (ICFs), and institutional review board (IRB) submission. A single point of contact eliminates most internal handoffs. 3. Streamline the contracting process. Novartis uses a site-friendly approach to contracts: Each site is provided a pre-validated, minimally negotiable contract package (covering IRB, CDA, and budget) that the site can either accept or reject. Documents for repeat customers reflect previously agreed-to terms and budget. These two changes allowed Novartis to significantly streamline the process, cutting weeks out of the process time. 4. Leverage central IRBs with fast turnaround. Negotiating the informed consent form, waiting for local IRB submission, and obtaining approval after the meeting can take weeks and sometimes months. While the standard review time with traditional studies is a median 25.9 weeks,1 the Next Generation approach reduces the timeline to less than one week. A central IRB not only simplifies the process for Novartis, it also delivers tangible benefits to the sites. Many sites using outsourced IRBs have one or more central IRBs registered as their IRBs of note. Utilizing more than one central IRB opens the Next Generation model to major academic centers, networks, and community sites, streamlining the process and reducing cost for both sites and study sponsor. A common industry objection is that sites, especially community-based sites, won’t accept a central IRB; however, Novartis has seen up to 90 percent of sites agree to using a central IRB. Not all sites will use all central IRBs, so providing a choice of central IRBs has shown to increase compliance with the IRB requirement. 5. Design a well-defined awareness program. A comprehensive awareness program was crucial to creating a patient access-focused approach to study startup. Most investigators understand it is challenging to obtain one of the few precious slots in a traditional trial. It takes education and communication to help investigators understand this new model provides them with a cost-effective way to participate in novel research without the standard “2-5” patient commitment. Generating this awareness requires a substantial commitment up-front and strong organizational alignment. Novartis’ awareness program covers a broad range of channels — medical science liaisons, trial- and program-specific websites, collaborating with patient advocacy groups, publications, advertising at congress/events, etc. Compared to a traditional approach, sites using the Next Generation approach can be initiated almost three months earlier (80 days), as the results from two recent trials show in the chart below. In addition, analyzing the initial results from sites using the Next Generation approach revealed these sites enrolled equal numbers of patients as sites using the traditional approach. That was a crucial insight which helped to communicate the benefits of the program to investigators and also to the various stakeholders within Novartis. Rapid enrollment not only shortened study timelines but also stimulated the traditional sites to competitively enroll. In one study, 30 percent of the sites using the traditional model never enrolled a patient. The cost and resources lost on these sites is hundreds of thousands of dollars. Opening sites with patients is a productivity gain for both investigators and sponsor. Initial concerns about sites not being interested in participating dissipated quickly: since the launch of the program, only one site declined to participate. Even more encouraging, Novartis is seeing a high level of reuse – sites that have seen the benefits of the program are eager to participate in other studies. While each of these innovations improves the overall process, the power of the Next Generation program comes from the combination of these tactics into an integrated approach that focuses on the patient, and from tailoring the elements of the program to the needs of the trial. Similar to how Waze (the navigation app acquired by Google) created a culture of user engagement, the flexibility of the Next Generation program created a “Waze for Clinical Trials” that allows for a culture of engagement within Novartis by selecting the path that best fits the elements of each protocol, population, and expected clinical timeline. Simply put, the team breaks the clinical trial down into its components, similar to a leg traveled on a trip. The selection process looks at the best fit for each aspect of the trial and determines the optimal path. Whether it is choosing a specific vendor, task, or path, the model is flexible to achieve each trial’s timeline, cost, and, ultimately, goals. By choosing strategically which elements to apply, Novartis has created a model for rapid study startup which is applicable to any protocol. 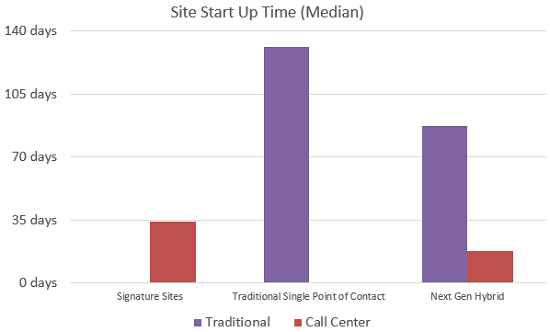 Chart 2: The Evolution of Next Generation from Signature to Single Point of Contact with traditionally selected sites to hybrid Next Generation with combination of rapid startup sites and traditionally selected sites. The customized combination of the Next Generation approach produces a reduction in both traditionally opened sites and rapid startup sites. Rapid Startup sites across these trials have shown activation times of 17 days or less, whereas traditional sites consistently fall into a range of 85 to 123 days. Conforti L et al, “Length of time needed for institutional review board approval or exemption of quality improvement projects among subset of US training programs”, presented at the AHA-IHI 20th annual national forum on quality improvement in health care, Dec 8-11, 2008. As executive director of Novartis Oncology’s Medical Operations, Tina Grasso is responsible for operational excellence, developing strategy, driving innovation, and delivering high impact results for internal and external stakeholders. With over 25 years’ experience, she excels at developing innovative operational solutions and agile resource models that influence strategy and transform operational efficiency. Prior to Novartis, Grasso was VP of global operations at Staticon International, leading clinical, regulatory, finance, information systems, data management, quality, and business development. Shea was also one of the founding members of the innovative approach to clinical trials that brings the protocol to patients, Signature. As senior director of Novartis Oncology’s Medical Operations, Katherine Feldman is responsible for operational excellence, developing strategy, driving innovation, and delivering high impact results with ingenuity in the clinical research space. With over 18 years in clinical research, she is an expert in directing the oversight of Clinical Trial Support Operations, where she has been credited with the introduction of several operational innovations and processes that reduce costs and timelines to improve efficiencies. Feldman is an instrumental lead of the innovative approach to clinical trials that brings the protocol to patients, Signature. Stephanie Petrone is currently the founder of navigate clinical consulting LLC. She has over 20 years of experience leading clinical trials and research programs, driving operational excellence, planning cross-functional strategies, and navigating the medical-commercial interface. She was also part of the team at Novartis Oncology that created the Signature (protocol-to-patient) program. Petrone now helps pharma/biotech companies design and implement clinical trials, and implement process improvement projects. She combines deep scientific understanding with cutting edge operations to gain competitive advantage and accelerate clinical trial programs. She is also a champion for clinical trial innovation, patient diversity, and patient engagement.